I spotted Tsui Wah Restaurant and followed a Chinese couple in. This place is cool. I'm not sure how to describe it, it looks like an L.A. or Vegas glitzy diner, 90% of customers are Chinese, extensive Chinese menu broken down by region, good cold milk tea. They list the top 10 items right at the front of the menu, I love that. I'd come back here again - maybe next time I'm in town and in the mood for a Hong Kong chain restaurant. Some of my coworkers are having a party this weekend and they invited me. I'm super excited, although the invitation and all RSVPs were in Chinese, so I'm not sure how that will play out. The only other time I've been to that club, I remember the music was so loud that you can't really hear the person you're talking with... so I'm not particularly worried about a language barrier. Popped into a nice Hunan (the other spicy province) restaurant for dinner. Some wacky misspellings and awkward translations ensued. 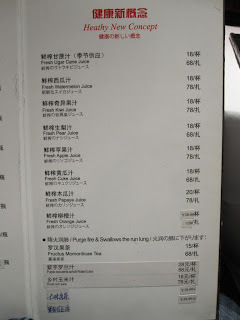 You can get an idea from this photo of the beverage menu. I tried to order the Purge fire & Swallows the run lung, apparently it's a section of calming teas. Ended up with the watermelon juice instead - it definitely calmed things down when my lips and tongue went completely numb from the chili beef w/ prawns and the spicy garlic asparagus. Chingrish is back - for nostalgic reasons? Last time I was in Shanghai, I noticed with dismay that many many English-language signs had been properly retranslated as a matter of National pride due to the number of tourists coming to the World Expo. 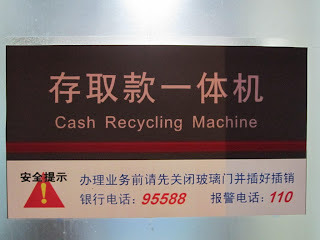 For example, "cash recycling" signs on ATMs were replaced with "withdrawal/deposit." 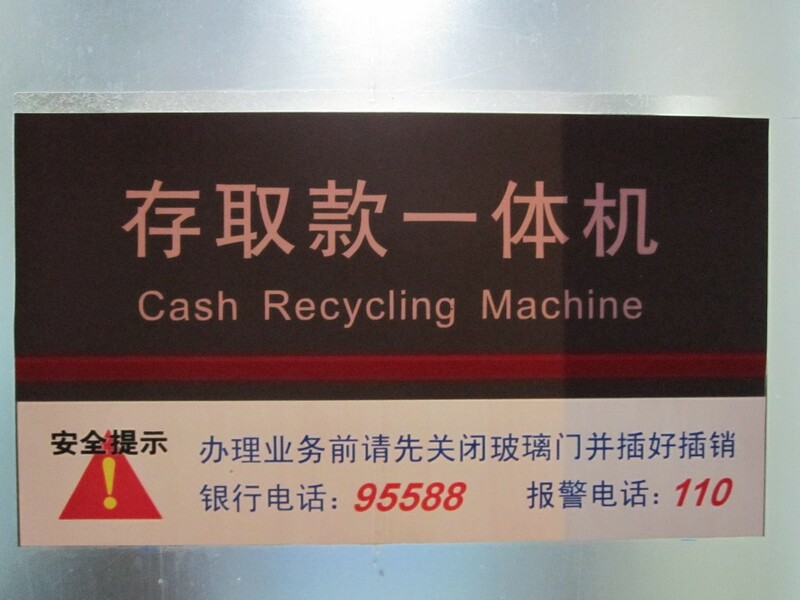 Tonight I noticed with glee that the "cash recycling" signs are back. Long Live Chingrish. 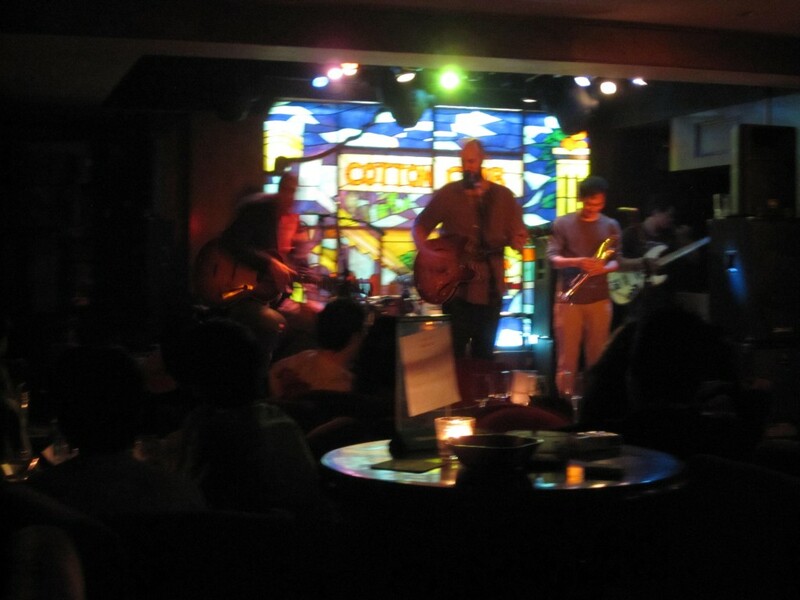 Had planned to meet some coworkers at the Cotton Club - another jazz club near my office/hotel. One guy got held up at a meeting and the other didn't show - he was on his way to swim laps in a nearby gym pool last I saw him - I'll be looking for this pool over the weekend. I stayed for a set and a half, and just as I had left, he called to say he made it to the club (2 hours late), but my brain and body had already checked out. Why the double prices per each juice? Small and Large? 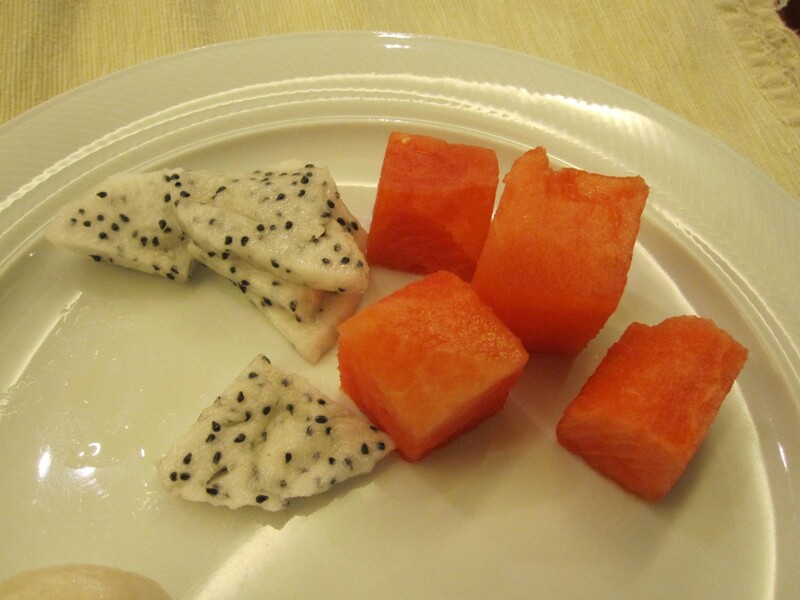 totally crazy about watermelons. but also interesting how the article is slanted -- as if every other country in the world abstains from using growth hormones.. I wonder how far China is from an Organic movement. My guess is quite.